When it comes to making a big decision, like going on a One Year Challenge, we often times will prioritize making it based on circumstantial certainty — like securing a job — rather than making the decision on faith. Yet as Christians, we can have a greater sense of certainty than even those who could see the future. This is because we have the promises of God. 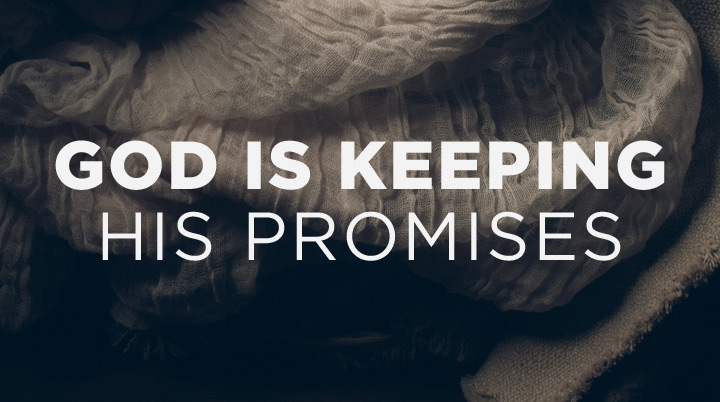 We can be sure of God’s promises, because God is faithful and He keeps His word. God makes promises to those who do the work of Christ through different scriptures in the Bible. Below are just three that you can take courage in. Promise: You’ll go out weeping, you’ll return laughing. carrying sheaves with them (Psalm 126:5-6). No doubt, walking with people through Bible studies can be painful. It involves sacrifice and great love for our friends. Just like farming, one year can return a great harvest and other years can bring about famine. The Bible doesn’t over gloss over this fact, but it does promise that those who go out weeping will one day return with joy and a harvest. Not everyone that you reach out to will become Christians, but if we persevere, we will one day find souls who will worship God with their lives. Promise: You’ll receive more than you give. ‘Truly I tell you,’ Jesus replied, ‘no one who has left home or brothers or sisters or mother or father or children or fields for me and the gospel will fail to receive a hundred times as much in this present age: homes, brothers, sisters, mothers, children and fields—along with persecutions—and in the age to come eternal life. But many who are first will be last, and the last first (Mark 10:29-31). If you go, Jesus promises that we will receive more than what we give. In fact, we will receive a 100 times more. This can be especially encouraging if we feel daunted by the sacrifice of leaving home. Ultimately this is God’s promise that He will take care of us (you can read about a brother’s experience of this here). Our needs for a family and a home will be met if we go for the Gospel. But God also promises that we will face challenges, namely persecutions. Promise: You’ll be lead triumphantly by Christ. But thanks be to God, who always leads us as captives in Christ’s triumphal procession and uses us to spread the aroma of the knowledge of him everywhere (2 Corinthians 2:14). We can be comforted by the promise that if Christ leads us — if we do things His way and in prayer — we will be triumphant. What does triumph look like? Not only that Jesus has risen from the dead, but also that the knowledge of Him will spread everywhere. In this way we don’t have to worry that our work is in vain. Christ will be known, whether in surrendered hearts or conquered hearts. If you’re considering any big faith decision today, especially if you’re considering going on a One Year Challenge, know that the Biblical promises can be enough. They contain the certainty that you are looking for.